Strange particles, K-mesons (Kaons, made up of a strange and a non-strange quark pair), Lambda (uds), Xi (dss), and Omega (sss) baryons have an appreciable lifetime before they decay into ordinary matter. 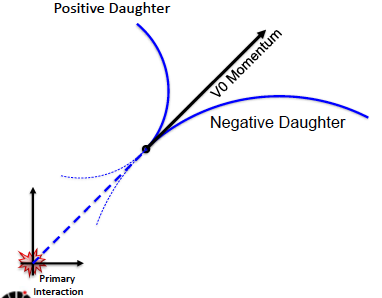 These decays have a characteristic geometrical configuration, which allows an effective reconstruction of strange particles: V0 or cascades, with the decay products originating from a secondary vertex, at some distance from the interaction point. The strangeness data obtained in pp collisions are particularly important to improve the overall modeling of those collisions. 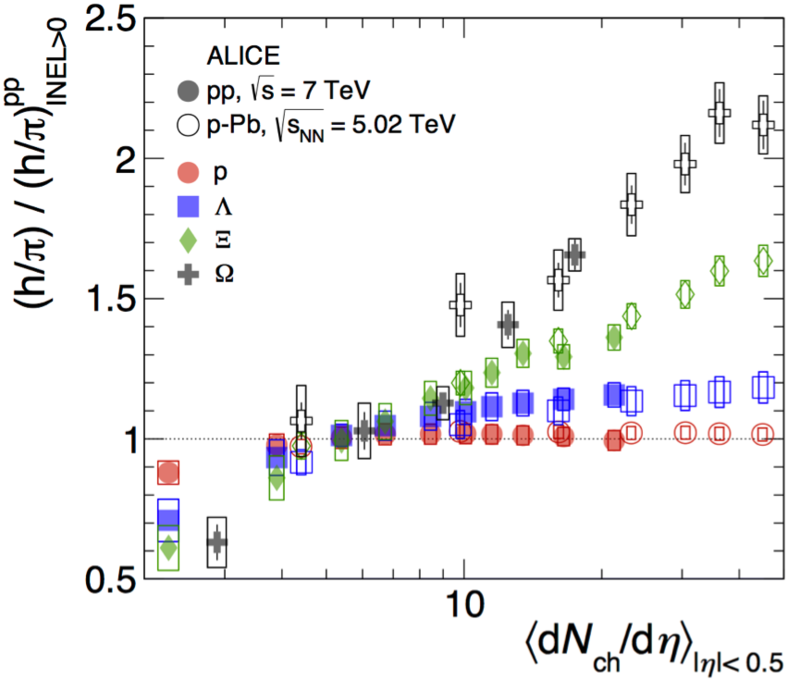 ALICE is the only experiment at the LHC to have measured Omega baryon yields in pp collisions. In addition, the pp measurement serves as a baseline for the measurements in Pb-Pb collisions, where we expect to produce the Quark-Gluon-Plasma (QGP). An enhancement in the production of particles with strange quarks has long been thought to be a signature of extra degrees of freedom available in the QGP. Indeed, this enhancement has been seen at lower energies as well: the larger the volume of the collision, the more the number of Lambda, Xi and Omega baryons increases with respect to the baseline (a pp or a Be-Be collision). 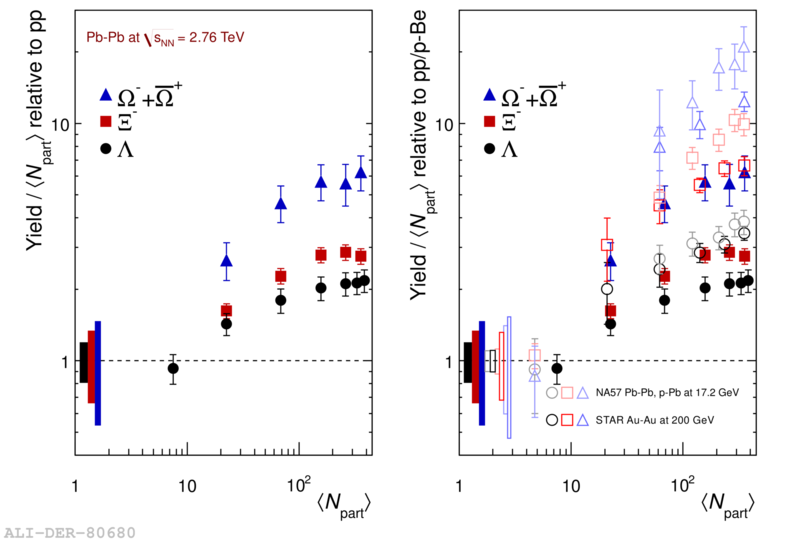 This is also observed at 2.76 TeV Pb-Pb collisions, however, with a caveat: the enhancement is smaller than that at lower energies! We think this is due to the complexity of our baseline: at these high energies, pp collisions to which we compare are more complex and produce much more strangeness than events at lower energies.